We like to give example of some cheap pensions in Barcelona city. If you are one of those travelers who like to pay less on accommodation but prefer a good place to stay then we recommend you read and follow our pensions in Barcelona city articles. I hope you will find a good, cheap and comfortable pension in Barcelona. Pension Villanueva is one of the cheap pensions in Barcelona. Pension Villanueva guesthouse is in the centre of Barcelona. 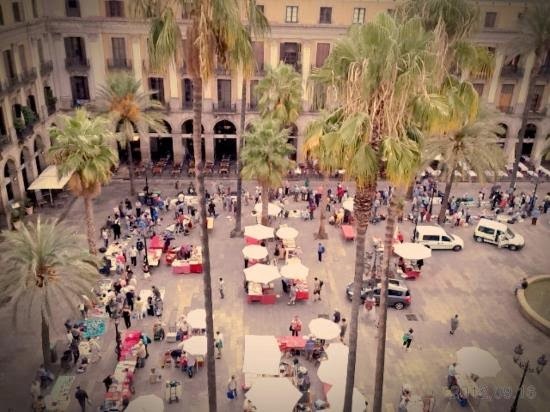 It has got both Las Ramblas and Plaça de Reial scenery. It's a little more expensive than the other pensions in the city centre but it is cleaner and more comfortable and located at the heart of the city. It is a friendly accommodation with fantastic balconies and free wi-fi connection. Don't forget that if front desk is open then the lift is on. The building has really historical look and it makes you feel true in Barcelona. You can choose shared bathroom option if you would like to stay cheaper. In the lobby you can find a drink machine. Also, you can access Quarter and the Port Vell in a few minutes by walking. Pension Villanueva prices range from 30€ to 80€ per a day for two according to room facilities such as if you prefer private bathroom and double and single bed combination. It has got heating and fan system. There is no parking lot. The reception is available between 8.00 and 12.00am. There is no breakfast service. 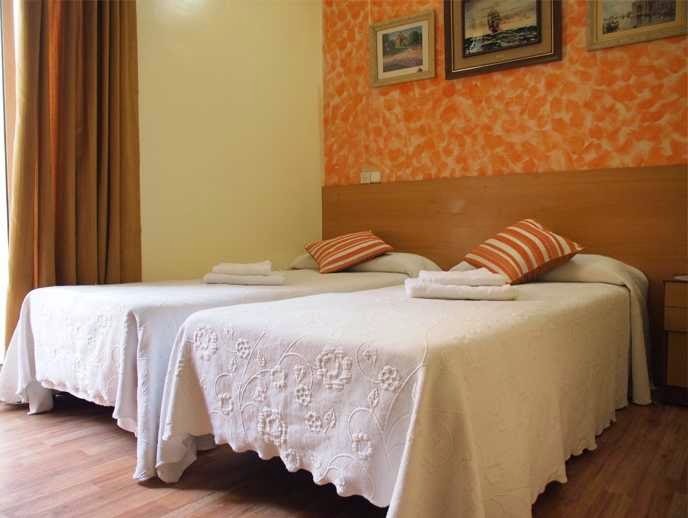 You won't regret if you choose to stay in Pension Villanueva in Barcelona city. Also the comments in tripadvisor for Pension Villanueva are worth to read. We will mention about other cheap and good pensions in Barcelona city in our articles. You may want to follow your Barcelona city guide. You can save on the accommodation but spend on the fun much more. For more accommodation in Barcelona articles check our Accommodation title at the main page of our site. Have a nice holiday in Barcelona. Enjoy the city and don't worry about where to stay in Barcelona.